On Friday I had a meeting down at Harwell Research Park south of Oxford which exists mostly to support the UK physics research community. It’s the 3rd time I’ve been there in a couple weeks for various reasons, but on Friday I went to meet with Ian Tracey who works for the STFC Research Council. Ian is the guy involved with much of the knowledge networks run on campus and is developing the entrepreneurial community that helps spin out the value created in that research. I wanted to speak within Ian on the back of the Will Hutton keynote speech at the recent Venturefest conference at Oxford. At the end of Wills speech, which was often humorous and provocative; Will lay down the challenge asking the question “How can Oxford become an Open Innovation ecosystem”. I’m a big fan of Will Hutton – in fact my thesis for my MBA is framed by the compelling message that he threw out at Innovate11 in London last year, where he spoke about the need to drive growth in the UK. Will and the Big Innovation Centre are active promoters of Open Innovation – building collaboration between firms, communities and universities to drive new business. We talked about the Cabume website and how it shares all the news about what’s going on in the Cambridge technology sector – about who is raising funding and on what the top talent is doing in the city of Cambridge. Anyone who follows the news on Cabume can clearly see what’s going on in the city – who are the movers and shakers and where the energy is being created. In Oxford on the other hand we don’t have that central news service and I updated Ian on how I have been speaking with Cabume on what it would take to get them to come to Oxford and to replicate their service for our city. Ian had given the “Oxford versus Cambridge” dilemma considerable thought. It seems to be that Cambridge is far more geographically isolated than Oxford. Where as Oxford is surrounded by other industrial centres such as Swindon, Reading and Milton Keynes – and how we sit above the whole of the M4 corridor – Cambridge by contrast is quite remote. Maybe this was the reason that Cambridge has a strong nucleus and focus and a strong sense of collective identity. Maybe it was the case that people in Oxford – when it was time for a change – could easily explore other options and work in other locations without uprooting the family and a whole lifestyle. As a result maybe talent in Oxford is more diffused and as a result it doesn’t have a single centralised and persistent knowledge community. We chatted about clusters. There’s lots of academic research about clusters but people aren’t really sure whether innovation happens because of clusters or whether clusters form around where innovation happens. Certainly Tech City in London is getting a lot of press. Shoreditch oddly has been vibrant for many years – a rundown part of town, which even 10 years ago was the home to some of the most vibrant nightclubs, pubs and arts scene; and now the digital creatives have moved in and things are happening. And from watching the news that Cabume shares I can see Cambridge is also buzzing. Ian reflected upon how the railway link between Manchester and Leeds stimulates innovation between those two areas. If you have to drive the car over the top of the M62 – over the bleak moors – it can be a real drag. But having a train line from central Manchester Piccadilly straight into the heart of Leeds has built a connection that stimulates the flow of ideas and business connections. If you reduce distance between two centres of innovation, promote proximity and enable face-to-face meetings then things start to move and happen. It was interesting talking to Ian and I got to hear about his Knowledge-Broking events he puts on – bringing in people from business and research to give six and three-minute pitches about what they’re up to and what they need. The brokering events are a great example of promoting collaboration between firms and research. Maybe we should tell Will Hutton that Oxford already is an Open Innovation Hub and that through these initiatives innovation is being stimulated. Or maybe there’s more that we can do in Oxford. Its working well in Harwell but maybe they should be co-hosted between Harwell, Begbroke and the University locations in the city? After all the first stage of any sense of cooperation is to build a platform of inclusion. I liked the story about the way Manchester and Leeds are connected via the rail link and on Saturday when I was scanning the news I saw mention of the Varsity line and how this might be reopened. 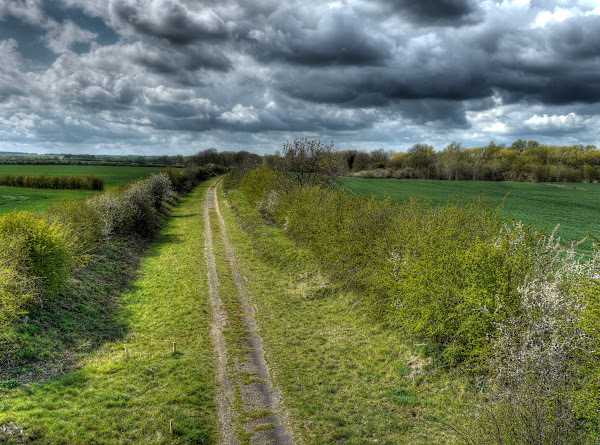 This is a line that used to connect Oxford with Cambridge and like many other lines in the UK got closed down in the 60s as part of the Beeching review. If you want to get from Oxford to Cambridge today you can take the train – chugging along into Paddington, working up a sweat on the tube, crossing to King’s Cross – surely the most grimy and Dickensian part of capital – before grabbing another train and heading back north into Cambridge. It’s really not the most appealing of journeys and a long day out. If you want to go by car this is also a real slog – hacking around Bicester, putting up with the frustrations crossing country past Buckingham and then getting dizzy around the endless roundabouts in Milton Keynes. The two cities really are currently inconveniently far apart given the influence they have on research and knowledge in the UK. If the Varsity line reopens it appears to be a connection from Reading through Oxford via Milton Keynes and onto Cambridge. This connects 3 of the biggest knowledge cities in the UK outside of London. It’s a fascinating proposition as it would really help build connections between two significant worlds and it would help lots of people to connect and form linkages. Great ideas get written down in papers that people publish and share, and through the Internet we get to watch conferences on video – but often the subtlety and authenticity of the persons message comes over far better in person – spreading the energy and sense of engagement. It started me thinking about all the people I might get a chance to meet if I was able to go to Cambridge so much more easily. I see so many interesting events going on it would be fascinating proposition and it’s interesting that an old Victorian technology like the railway lines seems to be such an enabler of knowledge transfer and human connection. After all we’re getting excited about the digital age – these technologies should remove all barriers. However we know meeting people in real life has got huge value. If you could have an evening in Cambridge who would you go and meet? Whose work have you been following that you’d like to bump into casually at an event or in a bar in the city? Categories: Innovation | Tags: Cabume, Cambridge, innovation, Open Innovation, Oxford, Venturefest | Permalink.